Every year, Make.Shift Gallery celebrates Kid's Art Walk in May. This year, we've partnered with Cedar Tree and Sammish Woods Montessories and asked 4th to 6th-grade students to create artistic renderings of creatures from outer space. At 8pm on October 6th, the Make.Shift project will be holding their inaugural benefit auction to celebrate their 10th anniversary at the Whatcom Museum Lightcatcher building. Live music will be provided by J.P Falcon and Grady. Join us for the 3rd annual Bellingham Northwest Wine Festival! The Festival will include both a public wine tasting and the announcement of all medal-winning wines entered in an earlier judged competition. This year's event will feature up to 50 wineries from the Washington, Oregon, Idaho and British Columbia, two regional distilleries, and one Northwest brewery! Net proceeds from the event go to the Whatcom Beer and Wine Foundationfor distribution to this years beneficiary organizations: Our-TreeHouse, Lydia Place, Growing Alliances, Make.Shift, and KZAX-Lp 94.9 FM. VIP ticket price ($75) includes access to public tasting in the Grand Ballroom from 6:00 to 10:00 pm, as well as exclusive access to the VIP lounge from 6:45 to 10:00 pm and a souvenir wine glass. The VIP lounge will also feature appetizers and wines not available in the Grand Ballroom. General Admission ticket price ($50) includes access to public tasting in the Grand Ballroom from 7:00 to 10:00 pm including light appetizers and a souvenir wine glass. A collection of wines will be auctioned at the end of the evening. Other silent auction items will include wine baskets and wine-related accessories! The V.I.P. Lounge is co-sponsored by Wine Press Northwest, Bellingham Alive and Yelp Bellingham. The Bellingham Beer and Music Festival is an afternoon event featuring up to 30 different breweries, pouring nearly 100 different beers! Live music performances from The Katie Gray Band, Eve Mason, All Star Opera (Seattle's 2017 Best Band) and Withering Blooms. Your ticket will also get you a BBQ dinner and a souvenir beer glass! There will be lawn/drinking games and silent auctions as well! Net proceeds benefit Whatcom Beer and Wine Foundation’s beneficiary organizations: Our-TreeHouse, Growing Alliances and Make.Shift Literacy Programs. Student tickets available to this year’s Bellingham Beer & Music Festival! winery and at least one distillery! present you college identification at time of purchase to receive discounted ticket! Want to get in for free? Learn how to volunteer! Make.Shift is the lucky benefactor of the Whatcom Beer and Wine Foundation. In exchange for receiving a donation from all of their events, we have agree to provide them with MAST* certified volunteers. If you are at least 21 and able to commit to pouring beer at the Bellingham Beer and Music Festival on Saturday, June 30th. Make.Shift will pay for the MAST Certification of the first 15 volunteers! Please sign up below if interested! 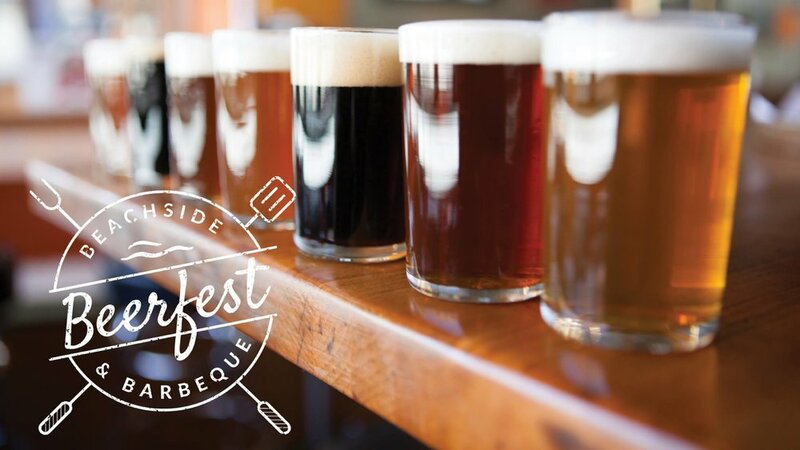 Semiahmoo Resort, Golf, and Spa is thrilled to host our first annual Beachside Beerfest & BBQ! Attendees will receive a 4 oz. tasting glass and ten tickets to try different local, craft beers of their choice. Live music, games on the lawn, and a BBQ buffet are also all included with your ticket. 100% of the proceeds from this event will be donated to the Make.Shift in Bellingham. Make.Shift is a non-profit formed in 2008 located in the heart of Bellingham's arts district with the mission of providing an all ages space for art and music. Taste beers from local breweries such as Skagit River Brewery, Farmstrong Brewery, Pike Brewing Company and others. Enjoy music by Bellingham band, Baby Cakes! May 19, 2018 1:00 p.m.–6:00 p.m. The third annual Bellingham Music Film Festival is a showcase of music through the medium of film. The films include music videos and shorts all focused around music-inspired subject matter. 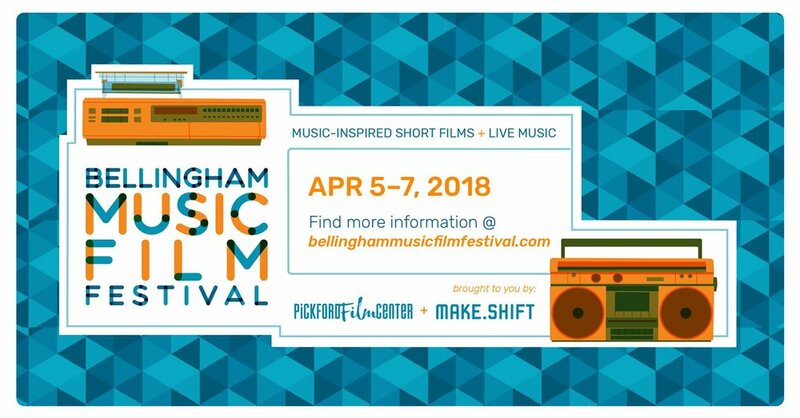 The Bellingham Music Film Festival is an inclusive space inviting both student and professional filmmakers from both the Pacific Northwest and international landscape. Nestled between Vancouver and Seattle, Bellingham, Washington has always been a hub for music and film. BMFF would like to celebrate the union of the two by screening exclusively music-related films and connecting this community on a global scale. Not only will a wide range of film formats be featured at multiple screening sites, but the weekend will be powered by live music. Check out the full schedule here and RSVP on Facebook here. The Wild Buffalo, Kombucha Town and Rook & Rogue. We are asking artists in the community to create original artworks using kids' drawings as inspiration. You can pick yours up at March Art Walk on 3/2/2018! Make.Shift is proud to announce KZAX Station Manager Katie Gray has been promoted to Executive Director on January 2nd 2018. 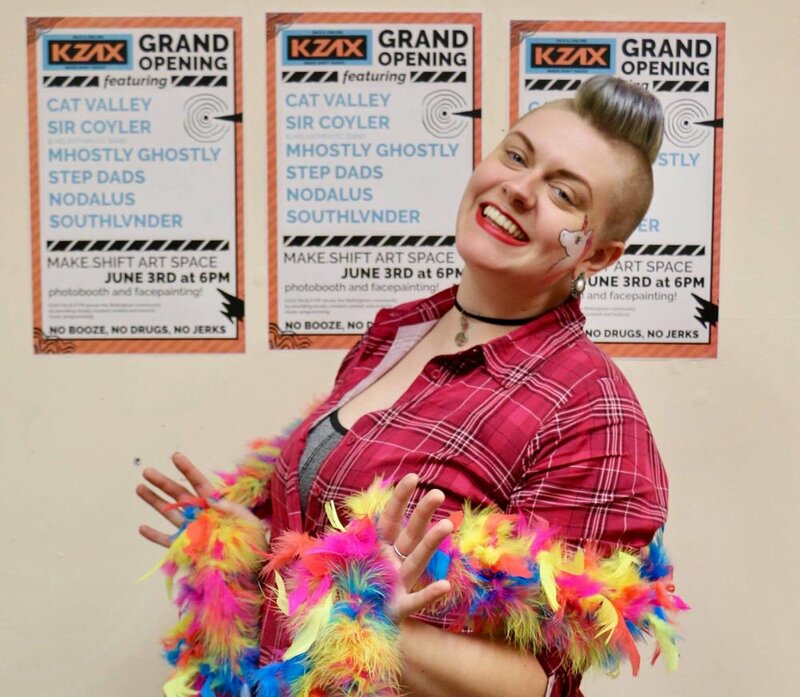 After being appointed station manager in March 2017, Gray quickly became an integral part of rebranding Make.Shift’s community radio station KZAX 94.9 FM overseeing programming, budgeting, and staffing which helped the station expand its reach to an estimated 1000 listeners everyday through broadcasting and online streaming. An active member of the arts scene in Bellingham as a performer, event coordinator, and volunteer since 2011, Gray has been part of the Make.Shift community for three years, creating and organizing an annual music festival MiniHam, taking on event management at several Make.Shift shows, and performing with The Katie Gray Band on the Make.Shift stage. She began her career in radio in 2013 at Western Washington University where she served as a maintenance engineer for the university station KUGS 89.3 FM while completing a BA in music and minor in Audio Technology. Gray went on to secure a position at local commercial station KAFE 104.1 & KGMI AM790 where she worked for 2 years as a producer and on air personality reaching tens of thousands of listeners each day. Now as Executive Director, Gray will oversee staff and volunteers while coordinating monthly events, working with Make.Shift’s Board of Directors on long-term projects, goals, and budgeting, and heading the organization’s day to day operations. Given Gray’s proven track record of excellence and determination, Make.Shift is excited for future success under her guidance and influence. Thank you for Giving to the Starving Artist Fund! We really want to thank everyone who came out to Art Walk last week. We raised $160 in cash donations for the Starving Artist Fund. We are lucky to have such an amazing and giving community! We are hoping to raise $5,000 by the end of the year. Please give what you can, if you have not already. You can donate by clicking HERE. The Starving Artist Fund will help emerging artists who cannot afford to frame their own work. Through this fund, we hope to make scholarships available to artists who would like to show at Make.Shift but are struggling to present their work in a professional manner. This opportunity will help them along in their careers as artists by increasing their chances of selling work and elevating their presentation for future exhibitions. Vendors Wanted: 2017 Holiday Make.Sale! Make.Sale is going to be even bigger and better this year than ever before! 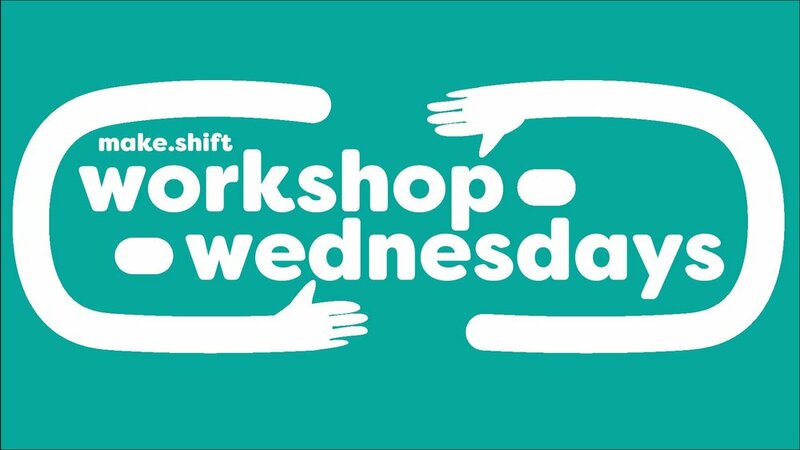 Make.Shift will be partnering with neighbors, Cafe Velo, and Oikos Fellowship to expand the event. We will be able to host more vendors and activities than ever before! Please apply by August 25th. Make.News Art Walk/KZAX Grand Opening! Art Walk this Friday! KZAX rock n roll open house party on Saturday! Dig in! Who says art has to be “pretty?” Not us, that’s for sure! Next month Make.Shift’s gallery will display dark, twisted and altogether gross artwork! “Cringe” is a celebration of all things uncomfortable. In 2010, Jinx Art Space hosted the first annual Bellingham Band Lottery. Bands were paired together at random, strangers and friends alike, who had never worked together formed terminal bands that had two weeks to practice, write and perform the greatest show of their lives. The two weeks that lead up to the performance really challenges and opens up creativity that might not happen in a regular band setting. Awkward weird riff, check. Obtuse inside joke lyrics, check. Costumes, why not? After moving out of the basement the band lottery was held at The Shakedown, and now Wild Buffalo, giving 21+ performers an amazing stage and staff to showcase their talents. The Wild Buffalo has been kind enough to donate the proceeds to Make.Shift the past two years. We wanted to open up the talent pool even more and are hosting our first annual spring ALL AGES ROCK LOTTO! We'd love to see what our oldest and youngest members of the scene have to offer for this event. This event is sponsored by Casa Que Pasa who has already paid the entry fee for the first 20 fans the night of the show! Thank you, Casa! The draft takes place during June Art Walk on Friday at 7:30 p.m. The show will take place Friday, June 16th. In our little home nestled within the arts district of downtown Bellingham, Make.Shift survives based on the talent, insight and dedication of its staff, volunteers, sponsors and donors. Before we jump into upcoming events, we want to say a truly heartfelt THANK YOU to everyone who has made this space possible! Your continued effort to prove why all-ages DIY spaces matter helps us continue to grow! After holding down leadership of the all volunteer crew that makes up the Make.Shift sound crew, our beloved Stuart Jackson's ISP internship through Fairhaven college, is coming to a close. Stuart is one heck of a guy. Funny, talented, and a hard worker. We are really going to miss having him around, but we are stoked for him to move on to the next big adventure. So with that, we are looking for an intern to take over the lead Sound Manager position at Make.Shift. An applicant for the Sound Manager position at Make.Shift should possess background in professional Audio/Visual work as well as leadership roles. The position includes elements of audio engineering, lighting, projection, as well as maintenance. The most direct role is through communication with various community members to fill in engineering slots for various events held weekly at Make.Shift, where volunteer techs work live sound and lighting roles. Background in training and working to form relationships with peers will be to the benefit of applicants, as much of this position's workload is based upon energizing a small group of volunteer technicians. This position is amazing hands on experience running production and staff at a live music venue. Our internships offer students a chance to develop their resume, gain experience, gain references, or earn college credit. Many of our sound volunteers have been able to go on and get job's directly in the field of sound engineering. The Make.Shift Gallery is looking for 2-3 gallery interns. As a Gallery Intern you would be responsible for coordinating, installing, and promoting visual art shows as a member of the Make.Shift Gallery Committee. We are looking for motivated individuals engaged in the local arts community with a dedicated interest in promoting and working with emerging, innovative, and underrepresented artists. This is an unpaid gig (that is, unless your rich grandma wants to give us a million dollars tomorrow) with a required minimum of 8 hours per month. Participates in other committee gatherings for painting, gallery upkeep, jurying group exhibitions, receiving and accepting work from artists, community events, etc. Oh hey. Hope everyone had an amazing week filled with sun, then rain, then sun and rain again. We have a bunch of exciting events coming up this week and they’re all indoors as part of our April Weather Preparedness Program™. What’s the phrase again? “April showers give you powers” or something? Pretty sure that’s it.